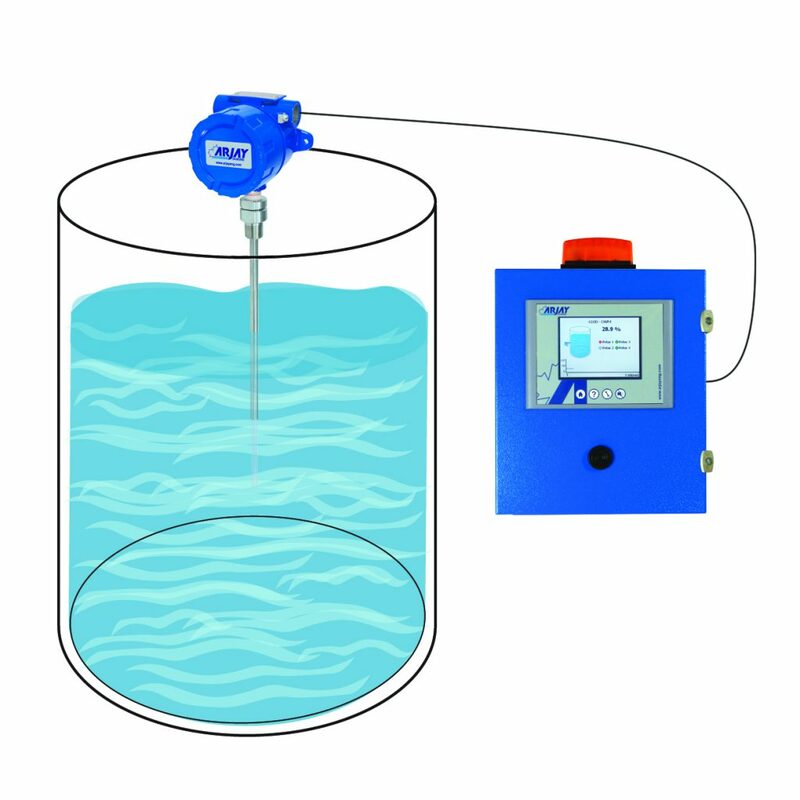 This unique system provides complete flexibility for monitoring solids and liquids for concentration, moisture content, blending, and quality control. The 4100-CAP sensing probe monitors the capacitance field around the probe within a shield, tank or pipe. As the dielectric characteristics of a fluid or solid change, the resulting capacitance change is monitored and configured into a useable signal for process control and recording. A display is available in user configured engineering units. Product dielectric changes in your application may not be strictly linear. Arjay has designed a 5-point calibration into the controller to enhance accuracy over an extended measurement range. This instrument is ideal for general monitoring and trending of process conditions.